Obituary for Ruthie Mae (Thomas) Morton | Dante Jelks Funeral Home LLC. Mrs. Ruthie Mae Morton was born in Salem, Alabama, to Mary Lee Thomas Holmes and Thelma Thomas, she attended Westfield High School. She confessed Jesus Christ at an early age and joined New Bethlehem Missionary Baptist Church. She was a member of the Nurses Guild . She retired from Alabama Laundry Company. Ruthie was known throughout the community and always made everyone feel welcome when they visited. Friends always came to her for advice. If anyone needed a place to lay their head, they could always sleep at the Morton house. She married Dave W. Morton, to this union six children were born; Lummie, Nathaniel, Cleola, Levone, Larry and Cecil. Her husband, Dave Morton and two sons preceded her in death, Nathaniel and Larry. Ruthie Mae transitioned from this life on Thursday, October 25, 2018 and joined her heavenly father. 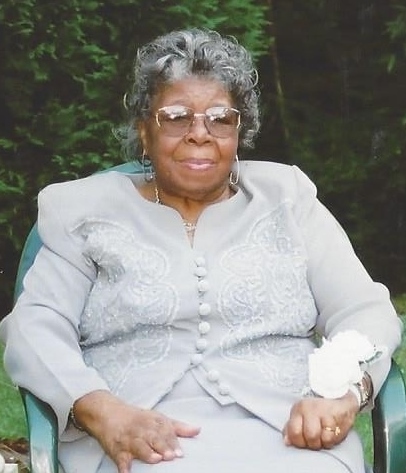 She leaves to cherish her life and share her memory; Lummie Jean Keith, Cleola M. Blevins, Levone (Cynthia) Morton of Birmingham, AL, Cecil (Vickie) Morton, daughter-in-law, Gwendolyn Morton of Detroit, MI, thirteen grandchildren, and a host of great and great-great grandchildren. She was loved and cherished by many.